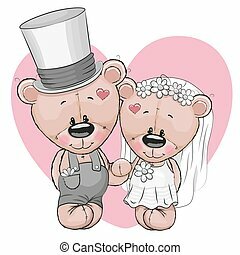 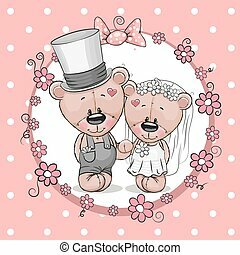 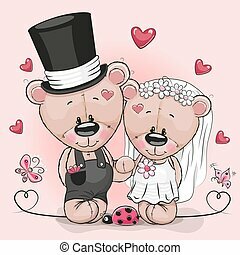 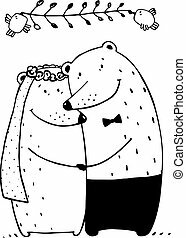 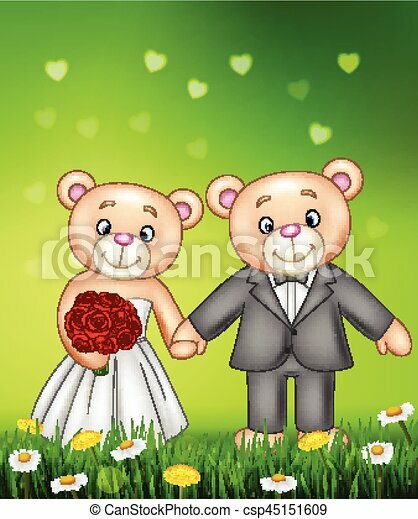 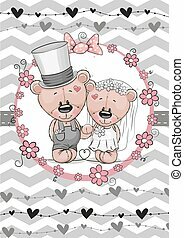 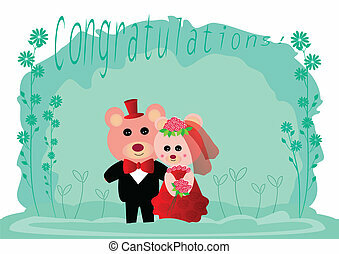 Vector illustration of bride and groom teddy bears getting married. 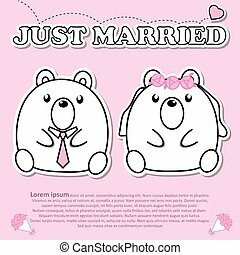 Just married couple with wedding attributes concept vector illustration. 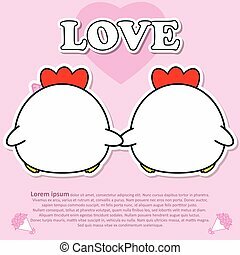 Design elements and icons in flat style. 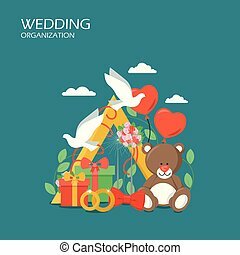 Wedding organization vector flat illustration. 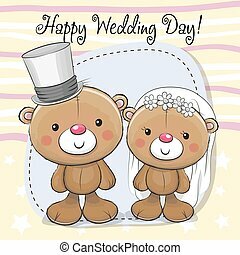 Two doves, rings, balloons, gift boxes, bouquet of flowers, teddy bear, red bow tie. 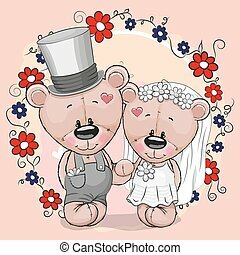 Wedding agency services concept for web banner, website page etc. 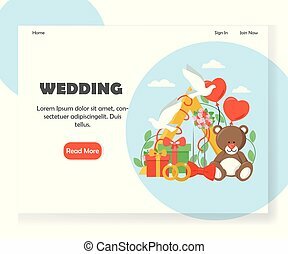 Wedding agency landing page template. 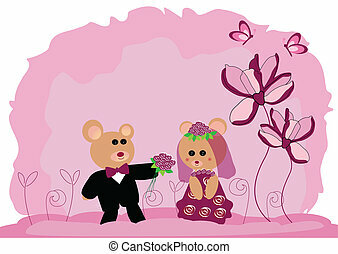 Vector flat style design concept for wedding website and mobile site development. 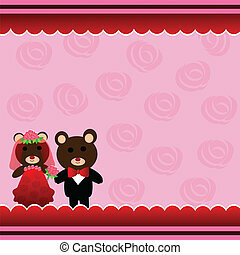 Two doves, rings, balloons, gift boxes, bouquet of flowers, teddy bear etc.